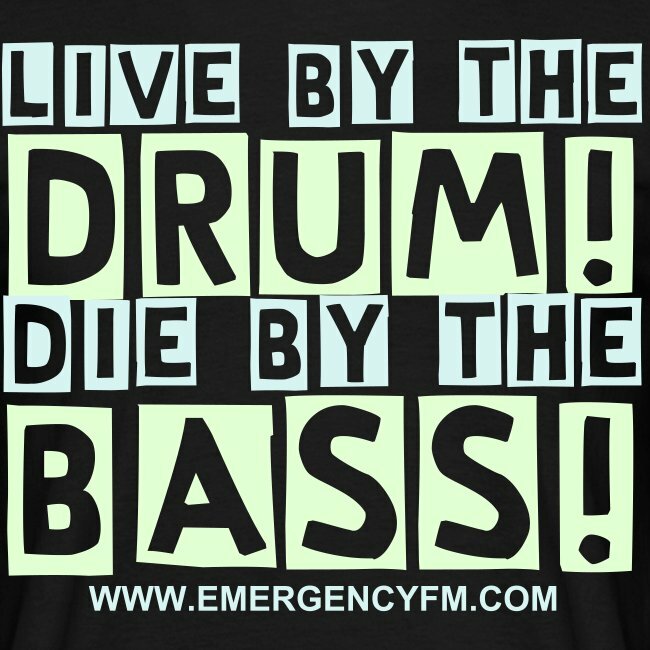 Live by the Drum Die by the Bass! 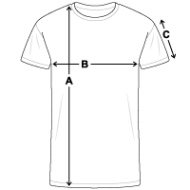 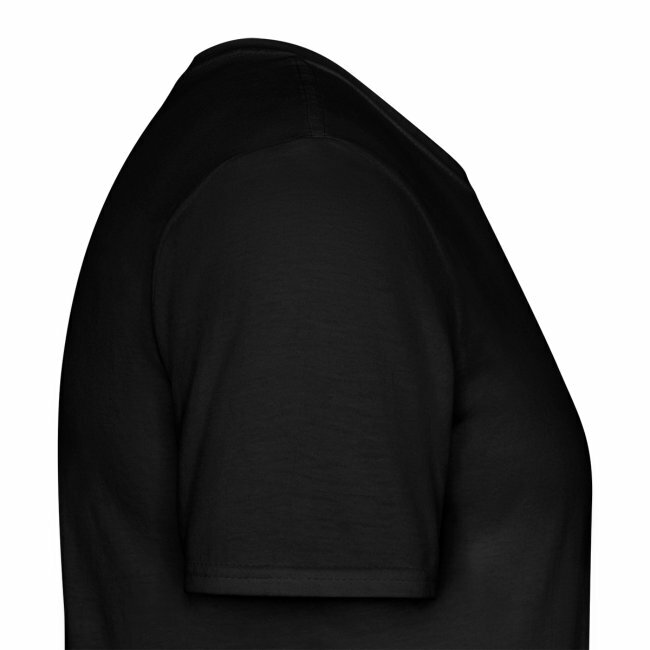 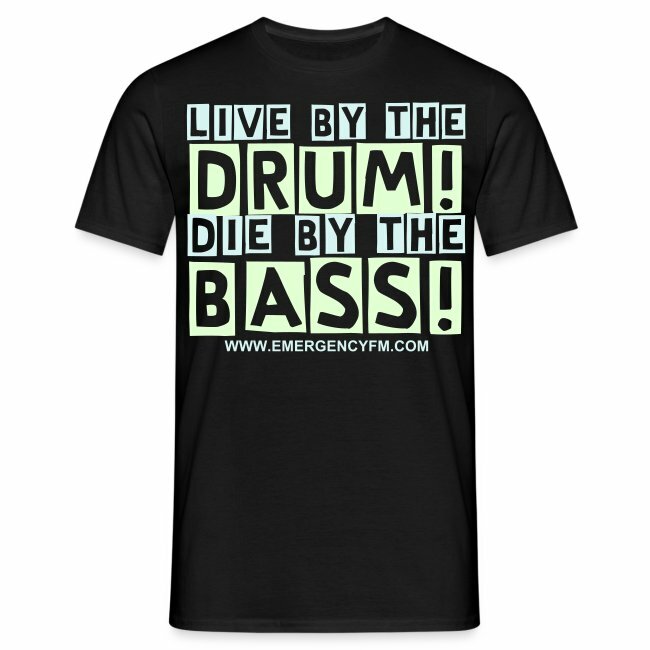 A T-Shirt with "Live by the - Drum - Die by the - Bass! 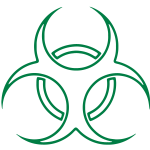 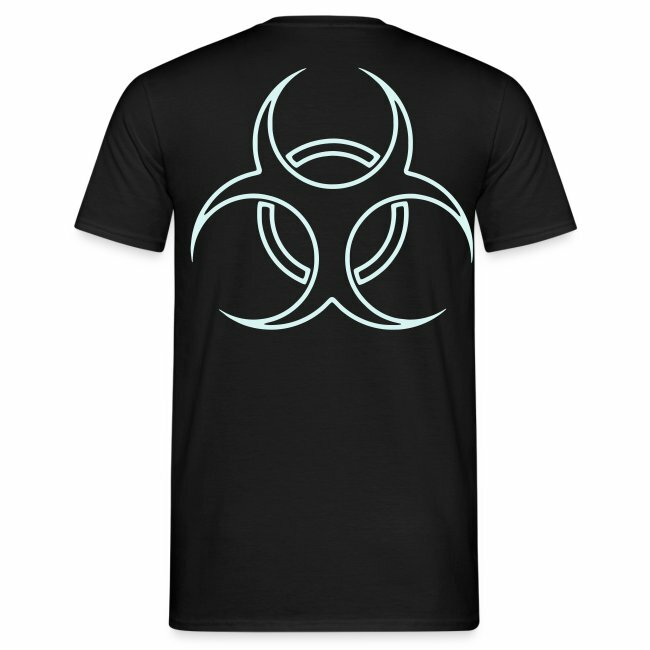 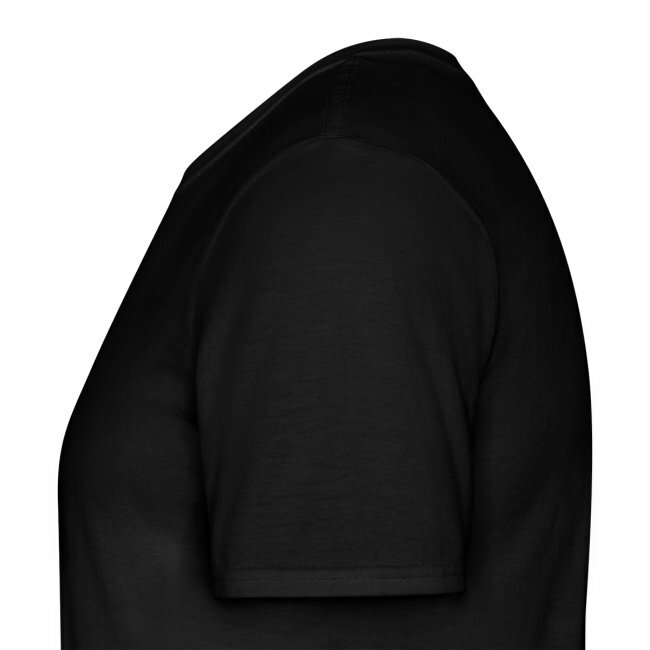 - www.emergencyfm.com" printed on the front alternating in reflective and glow in the dark lines with a large reflective Bio-hazard logo in large on the back.